Update: The sale has ended but be sure and sign up for Lori’s site news so you don’t miss a thing! 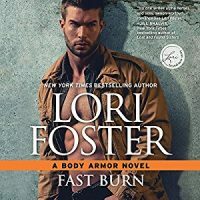 Lori’s novel Fast Burn, book 4 in her Body Armor series, is on sale in audio format for just $6.95 through Halloween at Audible. If you are a member, listen to a sample and get it now before the sale ends. Happy listening!